It’s time for another Facebook Giveaway! 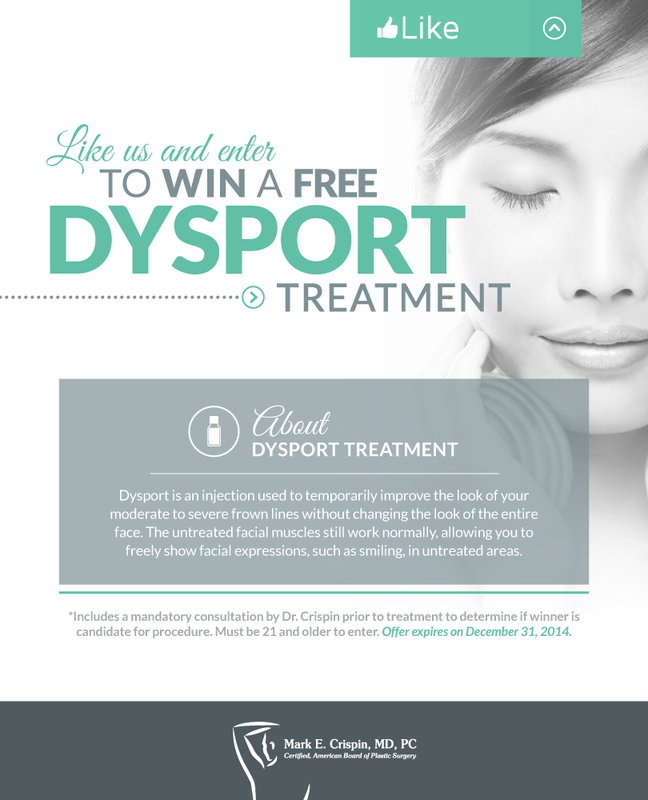 We will be picking (1) lucky winner for a FREE Dysport treatment (1 syringe valued at $420)*! All you need to do is “like” and fill out the form on our Facebook page. A winner will be announced on Friday, September 19th. 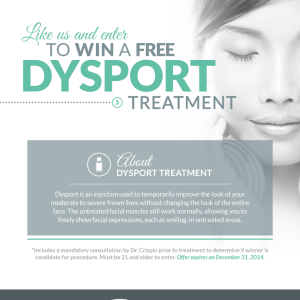 Dysport is an injunction used to temporarily improve the look of your moderate to severe frown lines without changing the look of the entire face. The untreated facial muscles still work normally, allowing you to freely show facial expressions, such as smiling, in untreated areas. *Includes a mandatory consultation by Dr. Crispin prior to treatment to determine if winner is candidate for procedure. Must be 21 and older to enter. Offer expires on December 31, 2014.